Dr. Ponder has returned from the Galapagos island of Pinzón. Read the University's Academic Health Center article, with information from a recent press release, here. 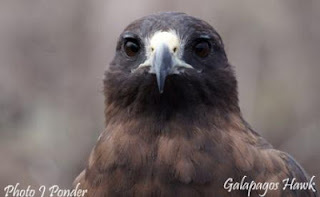 The Raptor Center is one of several partners in this important effort, including the Galapagos National Park and Island Conservation, the Charles Darwin Foundation, Bell Laboratories, the Galapagos Government Council and the Durrell Wildlife Conservation Trust. We feel this information is so important, and we want to share it with our Spanish speaking friends. You will also see a blog and Facebook post in Spanish that includes the press release on the project.